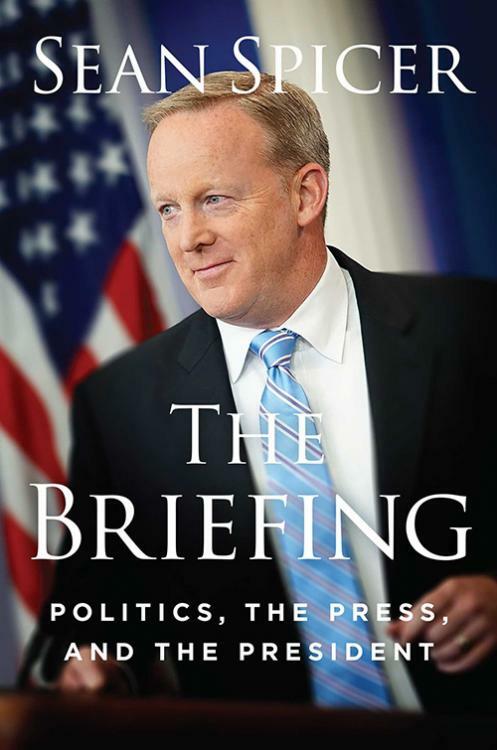 NPC Headliners Book Event: Sean Spicer & "The Briefing"
Sean Spicer, former White House Press Secretary under President Trump, will share his new book The Briefing: Politics, The Press, and The President at a National Press Club Headliners Book Event on Monday, August 13 at 5:30 p.m. in the Club’s conference rooms. From his first press conference – an impromptu gathering in which Spicer blasted the media for allegedly misreporting the size of the crowds for Trump’s inaugural ceremony the day before – to his dramatic departure 6 months later following the raucous arrival of Anthony Scaramucci, Spicer’s tenure as White House Press Secretary was as tumultuous as it was short. In The Briefing, Spicer attempts to “set the record straight” and discuss some of the most memorable and controversial moments of his time in office from his side of the briefing room podium. Sean Spicer served as White House Press Secretary during the first seven months of the Trump administration until his resignation on July 21, 2017. Prior to his appointment by President Trump, Spicer served as the communications director of the Republican National Committee (RNC) from 2011 to 2017, and served as the RNC’s chief strategist from 2015 to 2017. Spicer has been at the center of Washington, D.C.’s political scene for the last several decades, and has held various communications positions within the Republican Party.